Amanda McKerrow has the honor of being the first American to receive a gold medal at the International Ballet Competition in Moscow in 1981. Since then she has been a recipient of numerous other awards, including the Princess Grace Dance Fellowship. 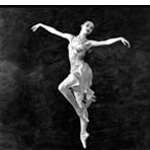 Ms. Mckerrow joined American Ballet Theatre under the direction of Mikhail Baryshnikov in 1982, was appointed to the rank of soloist in 1983, and became a principal dancer in 1987. She danced leading roles in the major classics, and had numerous works created for her by many of the great choreographers of the twentieth century. She has also appeared as a guest artist throughout the world. Ms. McKerrow is a trustee for the Antony Tudor Trust, and together with her husband John Gardner stages many of the Antony Tudor ballets around the world. Ms. Mckerrow is also in demand as a master teacher for both students and professional dancers. Mr. Gardner has distinguished himself in two major dance companies, American Ballet Theatre and White Oak Dance Project. 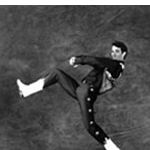 He joined American Ballet Theatre in 1978, and was promoted to the rank of soloist in 1984. Mr. Gardner’s diverse repertoire included many soloist and principal roles, which represented an extensive range of styles, and afforded him the opportunity to work with many of the master choreographers of the twentieth century. Mr. Gardner is currently a repetiteur for the Antony Tudor Trust, and together with his wife Amanda Mckerrow stages many of the Antony Tudor ballets around the world. During the course of his career, Mr. Gardner has achieved an excellent reputation as a master teacher and coach for ballet on both the professional and student levels, and has choreographed and staged numerous ballets for companies and schools around the world.